Ashley and Andrew’s elegant St. Pete Beach wedding featured an outdoor wedding ceremony with a rose petal aisle and accents of glamour and sophistication. 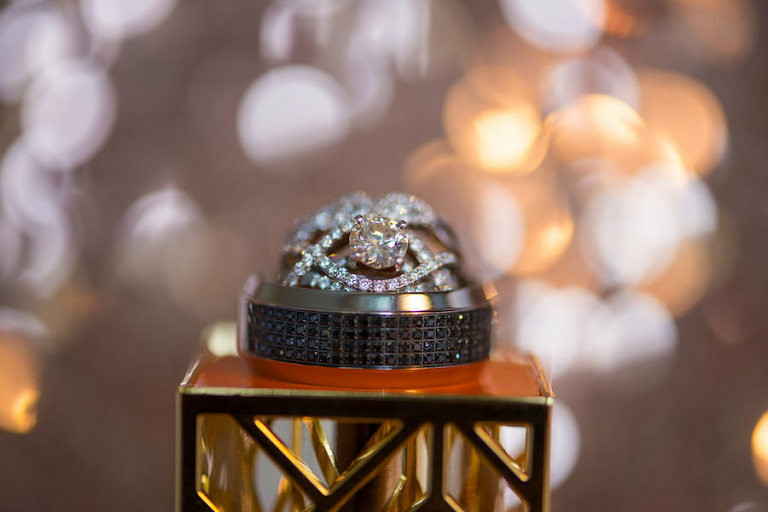 The Bradenton couple hosted a rose gold, blush and ivory wedding with just the right amount of glimmer to celebrate with their wedding guests. The bride and groom selected St. Petersburg wedding officiant A Florida Wedding Ceremony to perform the special task of creating a personalized and meaningful wedding ceremony. 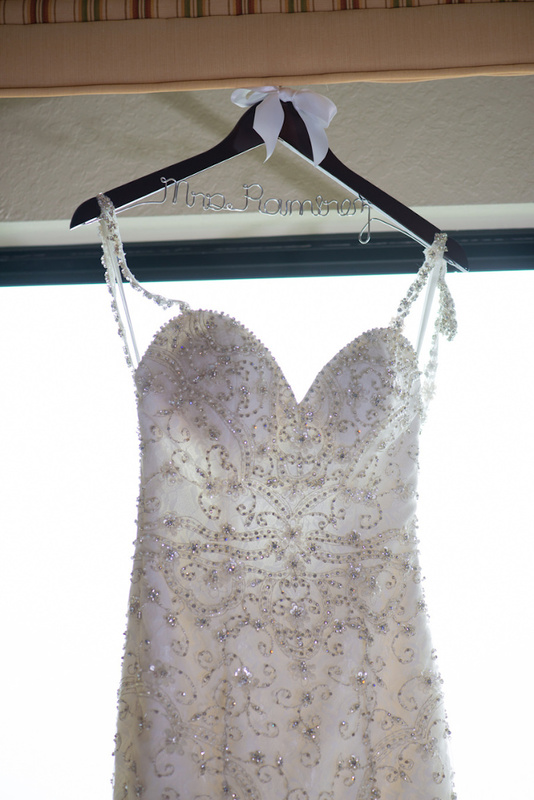 Looking back, one of the couple’s most memorable moments occurred during the first look. It was very important to us that our wedding officiant allowed us to customize our ceremony and also was very sincere. We wanted the readings and proceedings to mean something personal to us. It was also important that our wedding officiant provided us with some guidance and insight into what would make our ceremony match our vision. Deborah from A Florida Wedding Ceremony won us over almost instantly. We had spoken to a few officiants through phone interviews and as soon as we spoke to Deborah, we knew she was the person that we wanted to marry us. Her calm and positive demeanor combined with her experience and recommendations were unmatched. She was able to get a feel for our personalities and what we wanted for our wedding almost instantly and gave us guidance right from the beginning. Wedding planning can be very stressful, and Deborah was the perfect calming factor for us. My husband and I didn’t want a religious ceremony, but we knew that we had family members that were going to be very upset about this. She helped us to make our ceremony so beautiful and sincere that nobody even realized that there weren’t the traditional religious components. Andrew proposed on August 9. He had planned a sunset picnic on Lido Beach where he was nervous and anxious for everything to go perfectly. As the sun was setting, he got down on one knee and had the self-timer on a camera set up to capture the moment. Onlookers from a distance also took pictures and approached us later to send them to us. After some time to soak it all in, a quick sprint through a typical Florida sun shower led us to Columbia Restaurant in St. Armand’s for dinner. The next day, the surprises continued as Andrew had planned a family gathering at our house. It was definitely a weekend that we will always remember. 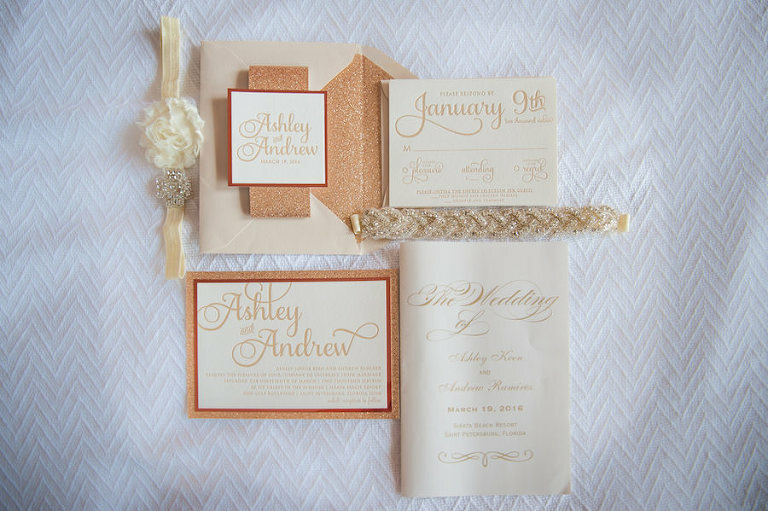 Rose gold, blush, ivory and pretty much anything sparkly. 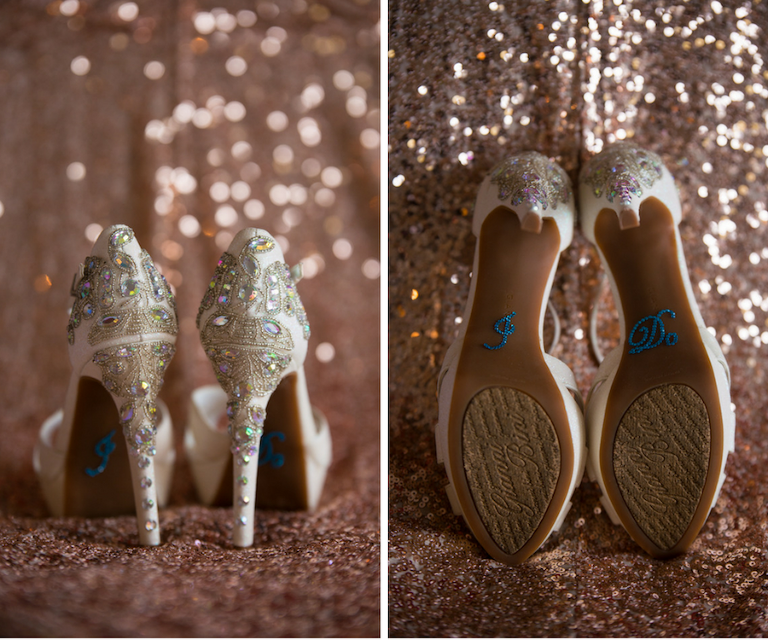 I love how the sparkle contrasted with the calming beach tones. It was classy and glamorous and something that we can look back on years from now and still be proud of. Stay true to yourself and trust your gut instincts. Remember that at the end of the day, you and your husband are the most important people of the day and that no matter what happens with the planning, vendors or weather, you will still be married. Everyone is going to have opinions, but you and your spouse’s are the only ones that matter.